UPDATE: We had a great turnout at Honeysuckle, with more than 20 measurement professionals and students gathering to exchange news and ideas. Stay tuned for information about the Fall 2018 Testing Salon! Now in its third year, the Testing Salon is a free social event for DC-area certification and testing professionals. 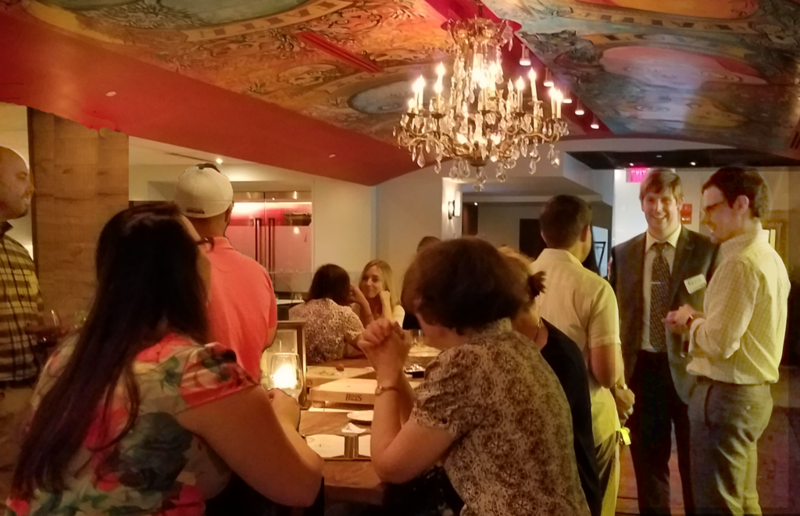 Join us after work on Thursday, July 26, 2018 at Honeysuckle restaurant, a 5 min walk from Dupont Circle South Metro entrance, for an evening of interesting conversations and networking. Bring your big ideas, problems, and solutions! We’ll have a table for business cards and company literature, but no presentations or agenda. This is just people getting together for a good time. Light appetizers (gluten-free and vegetarian included) are provided, with happy-hour drink prices all evening. Dinner orders are encouraged (check out Honeysuckle’s interesting menu). We look forward to seeing you there! RSVPs on the Facebook page are much appreciated! This Salon sounds like an interesting and exciting opportunity to meet a variety of new people! LOL, He has to say that – he’s my kid! But he did serve as name-tag coordinator at the last Salon, and so speaks from first-hand experience. The Testing Salon is always a great experience and the new venue, Honeysuckle, looks really interesting. I’m in! Looks like it’s a great venue! I’ll be there next time and looking forward to it.